Who would’ve thought that a donkey and kitten would be such a good match! While walking in Kenya this man came across two animal friends! This donkey and kitten appear to be best buddies! How precious. These two continue to snuggle up and rub faces! 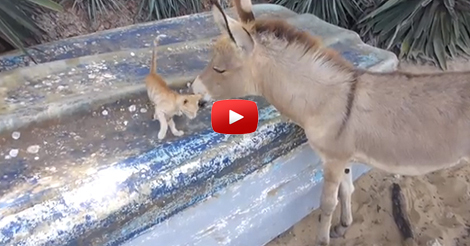 The donkey is so gentle with the tiny kitten and they are both clearly enjoying themselves! I would love to come across this playful pair while taking a walk, although it’d be hard for me not to bring the kitty home with me! 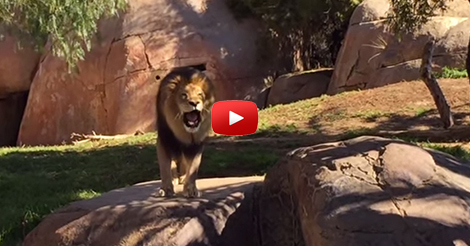 I love this friendly animal pair! 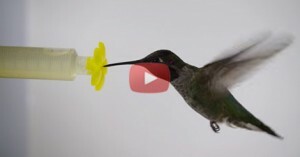 What a cute video. COMMENT what your favorite animal is!